Singer-Songwriter ATHENA ANDREADIS Discusses Her Latest Album, “Ready For The Sun”, Working With Leonard Cohen and More! 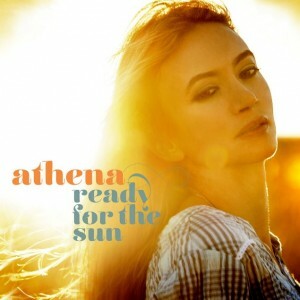 On February 3rd, the London born, Greek songstress Athena Andreadis released her US debut album, “Ready For The Sun.” A household name in Greece, a UK charting artist and highly acclaimed throughout Europe, Athena has taken on a new challenge and relocated to the US. Most recently, Athena collaborated with Leonard Cohen on his latest album, “You Want It Darker,” where she is featured on the hauntingly beautiful, “Traveling Light” produced by Leonard’s son, Adam. 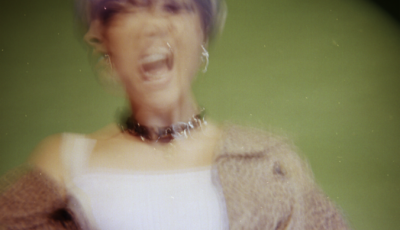 Upon becoming aware that Athena was living in Los Angeles, Adam and Leonard invited her to participate on the album. Athena initially learned of her hero’s awareness of her work during an interview years prior, in which a journalist shared that when she asked Leonard who his favorite Greek singer was, he had quickly responded with Athena as his choice. 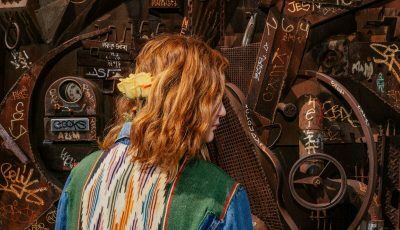 With international acclaim, and sold out UK and Greek tours, Athena has performed internationally at world class concert halls and festivals, such as the Royal Festival Hall, Glastonbury, TEDx and SXSW. Her music has been in the top 10 in both UK & Greek charts, and she is an award winning songwriter (Best Singer Songwriter Album at the IMAs). She was featured in a 1 hour British TV documentary about her music and career called MyMusic: Athena. Athena’s songs have been placed both in UK & US TV & films including Mike & Molly (CBS), Smash (NBC), Nomads (Lucy Liu) and the London Olympics Visit England Campaign. In addition to her music, Athena is immersed in her philanthropic efforts and her charity work includes being an ambassador of the Plastic Pollution Coalition (Los Angeles) for which Rolling Stone magazine recently wrote about Athena alongside Maroon 5, Bonnie Raitt and Jackson Browne. She has been working with Starbucks, Concern Worldwide (humanitarian aid), Save The Children (UK and Germany), and has performed at the recent environmental conference Gala for Cradle to Cradle (New York). Thanks for your time! What are some words you would use to describe 2016 for you and your music? What were some of the highlights? What are you most excited about for 2017? Did you make any New Year’s Resolutions? A roller coaster! Lots of highs, like collaborating with Leonard Cohen, and getting ready to release my new record ‘Ready For The Sun’, and lows like losing him, and so many other greats we lost this past year. One of my New Year’s Resolutions is to enjoy it all, to try to stay present for the ride; ”it’s how you do what you do” that matters, it’s about the intention and quality you bring to the moment. Yes, I always dreamt of being a singer. I was also a writer and poet, lyrics came later for me. I used to make up melodies and sing them to my sister. My mum would sing me to sleep and whistle while baking cakes; I’m sure that had something to do with it. Both my parents had a incredible vinyl collections and I grew up being influenced by many of the greats, like The Beatles, John Lennon, Joni Mitchell, Manos Hadjidakis, Keith Jarrett, Nina Simone, Neil Young, Leonard Cohen, amongst many many others. I’d love to know more about your relationship with Leonard Cohen? How did you get to be on his song “Traveling Light”? When my first record charted in the UK and Greece, I heard that a Greek journalist asked Leonard Cohen who his favorite Greek singer was and he said Athena. He loved Greece and had a house in Hydra, but I’d never met him until years later when I moved to LA, and his son Adam Cohen who was producing his last record, heard I was living in Los Angeles and making a new record at the Village Studios with Ethan Allen. They invited me to the studio and I sang the chorus to ‘Traveling Light’. It was a truly magical moment. Such an honor, and blessing. It was all so serendipitous, the whole Greek connection too, our love for the land and culture, and how it all came full circle right before he passed. I feel incredibly grateful to have sang with him on his last record. Adam did such a beautiful job of producing it. Can you talk about how your career has been influenced by your European and Greek backgrounds? How do you think these cultures are found throughout your music? How has the transition been since moving to the states? How long have you been here in Los Angeles? I’ve lived here for about two years now. I started coming out here to LA from London when my songs started being used in movies and TV series. On my last trip here, I was meditating in Joshua Tree and felt the calling, I literally knew I had to move here, that this was to be my home. I was born in London and spent my childhood in Greece. I have lived half my life in Greece and half in the UK, so both cultures are very much part of me and therefore find a natural expression in everything I do, from how I sing to my songwriting. Very soon you will release your full-length album called “Ready For The Sun.” What was it like putting this collection together here in the states? What surprised you if anything about the process? How does the process compare in Greece? Having mainly made records in London (though I have worked in Sweden and Greece a little too) it was funny but I already knew a lot of guys who had either moved here from the UK, or knew someone who had; it’s such a small world after all! Also I had already co-written with a few US artists. I guess what made this process different was recording at the legendary Village studios where so many of my favourite records were made, and of course meeting my producer Ethan Allen (Sheryl Crow, Ben Harper) who really got my vision and helped me realise it. What surprised me was how everything flowed since I moved here; it was a risk and a huge change living so far away from my family and all my friends after years of living in London and Europe. But people were so open and warm, I felt like home very quickly. What was the inspiration behind this first album of yours? What are some of the stories behind a few of the songs? How does this music compare to your past albums? I understand that you are an ambassador for the Plastic Pollution Coalition. Why is this organization so important to you? I was really inspired by the work of the co-founder Dianna Cohen as well as many fellow musicians and artists like Ben Harper, Maroon 5, Jackson Browne, Bonnie Raitt, Jack Johnson and many others who are trying to reduce the harm caused to the environment and to our own health by using disposable plastic, by minimizing it as much as we can on tour, and in our every day lives. It’s about creating a better future for us and future generations. It feels good to give back, but it’s really a win win as we are all one system, and by polluting our the oceans for example we are ultimately harming ourselves, and even though it’s hard to change habits at first, once you educate yourself about these issues and see holistically (“where does this stuff we throw away end up”), it changes your outlook, and then you can’t imagine not carrying your grocery bags, coffee mug and stainless steel water bottle wherever you go! In March, you will be starting your “Athena and Friends” series here in LA at the venue, Genghis Cohen. Where did this idea come from? What musicians will be joining you? There are so many wonderful musicians, songwriters and artists in LA, and I wanted to start a residency, a night where we can all also collaborate, and where I can share the stage with some of the incredible talent here! The plan is to sing together but to also write songs together which we’ll perform those evenings. Every evening will be different and a surprise! I believe in teamwork and collaboration, and so looking forward to seeing how these nights evolve over time too! The first one will be on March 7th. My favorite musicians and artists are all those who write from the heart, with honesty, accuracy and integrity. I love working with talented artists who come from the place of wanting to share and “serve”, and there are lots of those in LA. and everywhere, thankfully! Bob Dylan, Paul McCartney, Neil Young, Joni Mitchell, Carole King, there are so many greats who are still around that I’d love to meet and perhaps work with even, who knows! I’d paraphrase the quote “to know even one life has breathed easier because you have lived, this is to have succeeded” and say this is what I hope for my music and songs. To breathe together, to cry together, and share the joy! 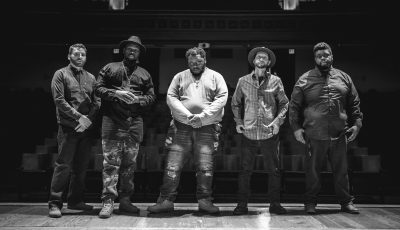 An Interview With The New Jersey Quintet SUPER SNAKE All About Their Recently Released Album, Leap Of Love! An Interview With The New York-Based Singer-Songwriter JUSTIN BARON!